Buying a new Jeep® SUV is exciting, especially when you purchase from our expert Jeep dealership sales team here at Glenbrook Dodge Chrysler Jeep. You can also count on our highly trained service center technicians to help you keep your ride running smoothly long after your purchase. It’s important to stay on top of regular vehicle maintenance, so you can drive safely and protect your investment. Whether you drive a Jeep Wrangler, RAM 1500, or anything in between, regular vehicle maintenance is a must. 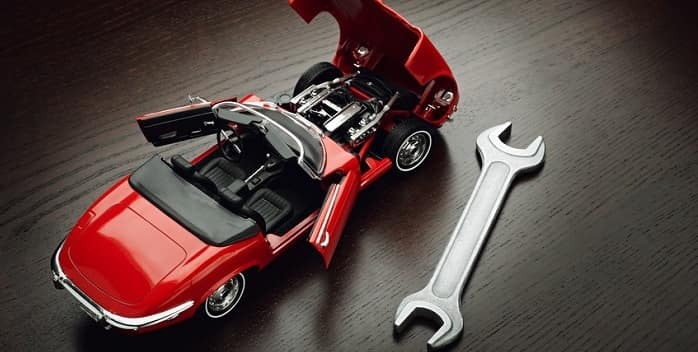 Keeping up with your manufacturer’s maintenance schedule prevents various components and systems from wearing too quickly, which can prolong the overall life of your vehicle. In addition, routine maintenance tasks like oil changes, brake inspections, and tire rotations only help you avoid expensive repairs. It’s often more cost-effective to pay for simple service tasks than unexpected repairs due to neglected fluid changes, etc. Oil Changes: We can’t stress enough that regular oil changes are vital to keeping your engine running properly. Oil that becomes old and thick cannot lubricate your engine’s parts effectively, and that’s when expensive repairs will be needed. Filters: Your oil filter will be replaced with each oil change. Be sure to have your cabin filter replaced at regular intervals as well. Tire Care: Checking your tire tread can go a long way toward preserving the life of your tires. Our expert Jeep service center technicians serving Auburn, IN are happy to check your tread and recommend a tire rotation when necessary. We’ll also check your tire pressure and assist with ordering new tires when needed. Lights: Not only do you need your vehicle to run smoothly, but you also need is to be safe. Let us check your headlamps, taillights, turn signals, and interior lighting. If anything needs to be replaced, our service center technicians can do the installation. Fluid Flushes: Brake and transmission fluid need to be drained periodically and replaced. Consult your owner’s manual or talk to our Fort Wayne, IN Jeep dealership service team about your vehicle’s next scheduled fluid work. Brakes: Remember to have your brakes inspected at the recommended timeframes. It’s much better to replace worn-out pads than it is to pay for brand-new components like rotors and calipers. Please visit or contact our Indiana Dodge dealership soon to check out our large vehicle inventory, schedule your next vehicle maintenance appointment, or place an order at our parts center near Indianapolis. We look forward to serving you soon!